Since the 1960s I and my family have taken self catering holidays in Britain and Ireland. One of the little niggles that I have had over the years has been the uncertainty of the precise location of the holiday cottage, and trying to find it in what might be a new and unknown area, especially as it is at the end of possibly a long and tiring drive, when one might be not as alert as one might be. Supplied directions have often not been as good as they might be, and as my main interest is maps and mapping, mainly for motorsport, I do notice any shortcomings. Directions are frequently incorrect, approaches to cottages being along the wrong roads, and conflicting with written descriptions. This applies not only in the holiday industry, but also in business. First impressions are very important, when people visit your cottages or business. But opinions can be formed long before the visitor reaches the office or the cottage. You can help your business with clear and precise custom designed location mapping. Getting lost on the way to your holiday destination or to an appointment is one of the major causes of stress in our working lives, and Pine Lodge Maps can help reduce that stress. If visitors find your premises first time every time won't they be in a better mood for starting their holiday or for doing business? Our maps are accurate, and to ensure that your visitors know the best possible route to your door, we annotate them with relevant landmarks and photographs, from supplied information and personal knowledge. 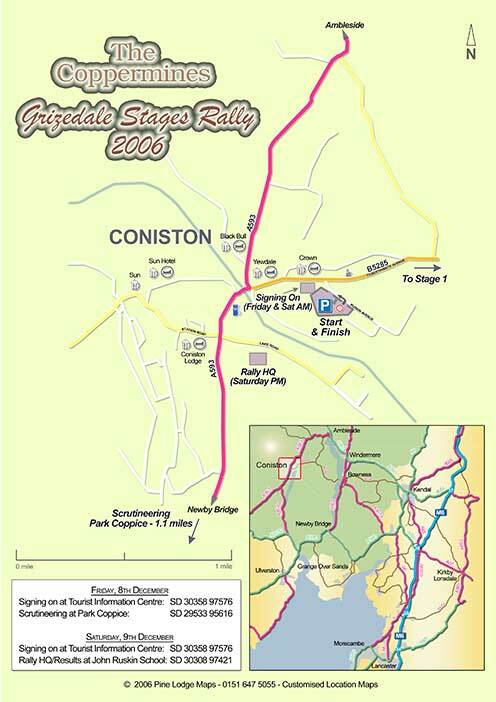 Maps can be supplied either electronically or printed - just ask!.